China's envoy to Canada on Thursday warned Ottawa of possible repercussions if it banned technology firm Huawei Technologies from supplying equipment to Canadian 5G networks, the latest blast in a deepening bilateral dispute. Canada is currently studying the security implications of 5G networks, but unlike some allies has not announced a ban on Huawei equipment. 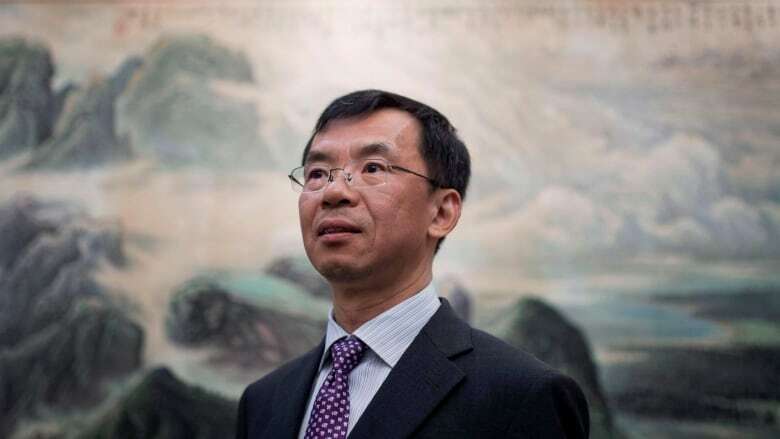 "I believe there will be repercussions" if Huawei were to be banned, Ambassador Lu Shaye said through an interpeter at a news conference at the Chinese embassy in Ottawa. He urged Ottawa to make a "wise" decision but did not provide details about what the "repercussions" would be. Davos "is a place for discussions on economic issues and we hope that issues other than economic ones should not be talked about at the Davos forum," Lu said through a translator. "If Canada has a sincerity in solving these issues, Canada will not do such things. We hope Canada will think twice before making any actions." China subsequently detained two Canadian citizens, businessman Michael Spavor, and Michael Kovrig, a Canadian diplomat on leave to work for an NGO based in China. Lu appeared far from the Canadian position on Thursday saying that the arrests of Spavor and Kovrig were legal and just while the arrest of Meng was exactly the opposite. "The detention of Ms. Meng is groundless because she did not violate any Canadian law. But on the other hand, the detention of the two Canadian nationals were due to their suspicion of engagement in activities that endanger Chinese national security," Lu said. Earlier this month a Chinese court retried Canadian Robert Schellenberg for his role in the smuggling of 222 kilograms of methamphetamines. Schellenberg had previously been found guilty of drug smuggling and sentenced to a 15-year jail term, at the retrial he was sentenced to death. In the wake of that ruling Trudeau accused Beijing of arbitrarily using the death penalty and called world leaders to solicit their support. Speaking in Sherbrooke, Que., Freeland dismissed the warning not to press Canada's case with international allies, insisting that her government would continue to defend its citizens. "Canada has been, since the very beginning, very clear in our support for Mr. Kovrig and Mr. Spavor," she said. "In the case of Mr. Schellenberg, it is a long-standing position of the government of Canada to object to the use of the death penalty. "We object to it in principle anywhere, and we particularly object to it when it is threatened to be used against a Canadian and we will continue to work hard for these three Canadians." She added that she would continue to make it clear that the arbitrary detentions of Kovrig and Spavor are wrong and they should be released immediately. "That is something Canada has been saying for some time and we are going to continue to work hard on this case," she said. Freeland said the decision on 5G "is being studied carefully by our security officials and by the government and is under serious consideration." Irwin Cotler, the founder of the Raoul Wallenberg Centre for Human Rights, took China to task for characterizing Canada's arrest of Meng as "vile, unconscionable and evil." Last week, Wang arrived in southern China where her father, Wang Bingzhang — considered to be the father of China's ill-fated international pro-democracy movement — has been jailed since Chinese agents snatched him in Vietnam in 2002 and hauled him back. Lu said economic relations between the two counties can be repaired and the current impasse could be resolved through negotiations. Any resolution, however, would be threatened, Lu said, should Canada ban Huawei Technologies from participating in Canada's new 5G network for security reasons.